Growing up the son of educators whose careers span over 60 years, Jahi Peake is no stranger to the trials and successes of the educational field. Mr. Peake currently serves as a visual arts teacher at the only IB primary school in Louisville. 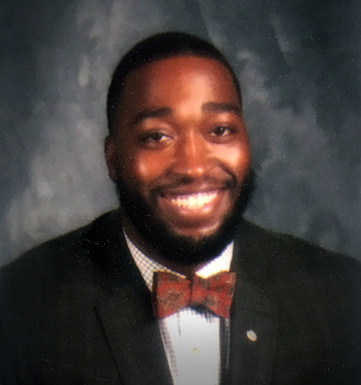 Mr. Peake holds an undergraduate degree from Kentucky State University and Master degrees from both Campbellsville University and Bellarmine University (Summer 2018). Jahi has dedicated the majority of his young career to student, families, and the communities around the city of Louisville. Mr. Peake strives to make a impact in a large scale by consistency effecting the lives that he comes in contact with. Stephen Buchholz has devoted his career to making a positive impact on the lives of all children. Stephen is a high school chemistry teacher at Waggener High School after starting his career as an 8th grade science teacher at Myers Middle School. Stephen has a passion for soccer and has coached both high school and club soccer for Waggener High School and Ohio Elite Soccer Association. Stephen is excited to serve Sowing Seeds with Faith through his work with the Curriculum Committee. Amanda Beaumont was born and raised in Louisville, Kentucky. Amanda graduated in 2007 from Louisville Male Traditional High School and then from Louisville's own Spalding University with a Bachelors of Arts in Psychology. Beaumont currently works for Nutrishare, a pharmaceutical company in Louisville where she has over a decade of experience in the pharmacy industry. She has a passion for making a difference in the community, as well as connecting and networking with others. Amanda strongly believes in the mission of Sowing Seeds with Faith and is looking forward to serving the community of Louisville. Stephanie Henry recently graduated from the University of Louisville in May of 2017 with a Bachelors of Social Work Degree. Henry, currently practices social work as a case manager at St. Vincent de Paul Louisville working in the families and children department. As a board member of Sowing Seeds of Faith, Henry hopes to be instrumental in her community by assisting with providing quality education assistance and bridging the gap between families and access to public resources. Doug Beaumont was born and raised in Louisville, Kentucky where he went to Louisville Male Traditional High School. While in school he was a student athlete where he played three sports (football, basketball, and track). In 2006, Doug was the recipient of Kentucky’s Mr. Football award and he earned a scholarship at the University of Louisville. Beaumont had a good career at Louisville leaving a good impression with his hometown. He was offered a chance to play in the National Football League for the Atlanta Falcons. Doug now works at the leading IT and staffing services company, TEKsystems and although his career is in IT his passion is giving back. He continues to travel the local area talking to the youth with FCA (Fellowship of Christian Athletes) and now enjoys helping out with Sowing Seeds with Faith. As God continues to bless Doug, he knows that you must share your blessings with others. Garnett Phelps was born and raised in Louisville, KY. He graduated from Ballard High School in 2006 and went on to Eastern Kentucky University on a football scholarship. Garnett graduated from EKU with a B.S. in Sport Management, then attended the University of Louisville and completed his Masters in Sport Administration. 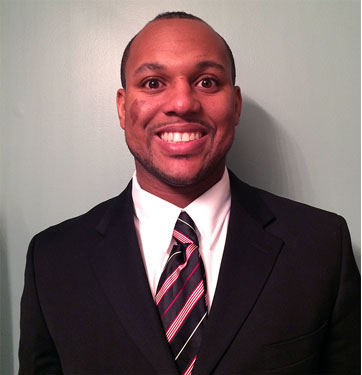 After 3 years of working full-time in Youth Services for the YMCA of Greater Louisville, Garnett made a career change to work in the wine and spirits industry for Republic National Distributing Company, where he is a Brown-Forman Specialist. Zeeshan Bhatti was a member of the Bellarmine University graduating Class of 2016, finishing with a Bachelors of Arts in Economics. Zeeshan's background is in finance, particularly in investments and asset management. He is currently working at Merrill Lynch in Louisville, KY. Bhatti is also the Chief Strategy Officer of Muslims Americans for Compassion and a proud member of the Sowing Seeds with Faith board of directors. Brian Edelen was born and raised in the Buechel neighborhood of Louisville. He has a true passion for giving back and mentoring the youth to become the future leaders of Louisville. Brian attended and played baseball at Western Kentucky University, where he graduated with a B.S. in Exercise Physiology with a concentration in Physical Therapy. In May 2011, Brian signed a professional contract with the Kansas City Royals. After moving back from Charlotte in 2017, Brian was honored to help with Sowing Seeds, and has since been touched by the daily success stories that come from this organization. 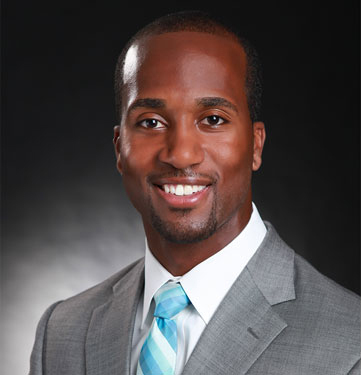 Born and raised in West Louisville, Johnique Ison is very passionate about giving back to underprivelged communities. On May 13, 2017, she received a Bachelor of Science degree in Criminal Justice, with a minor in Pan-African studies from Louisville’s very own University of Louisville. She is a member of Delta Sigma Theta Sorority, Incorporated where she constantly helps the underserved. She currently works with Jefferson County Public Schools in the Resource & Development Department where she assists the district in writing grants to help better student needs. Johnique has always been and is continuously dedicated to giving back to communities. Bethany Mitchell is a recent graduate of Northern Kentucky University where she obtained a B.S. in Health Science with a minor in Psychology. Bethany has always had a passion for kids ever since she can remember. She began working with the youth at the young age of 12, teaching at vacation bible school. She later found her calling while being a child care provider, then most recently was a mentor to freshmen as a sophomore in college. One of her most fulfilling roles was working with the Boys and Girls clubs of Greater Cincinnati. Currently, she is working as a Project and Delivery Analyst for a consulting company. Bethany is more than excited to be working with the mentoring program and overall honored to be a part of such a groundbreaking organization. Huda Jabbar is a Louisville, Kentucky native currently studying at the University of Louisville. She is pursuing her bachelor’s degree in the fields of sociology and criminal justice. After undergraduate, Huda is interested in pursuing in higher education. This is her first year with Sowing Seeds and she is excited to help the enrichment of the wonderful children in the program. Afeera Malik is a sophomore at the University of Louisville seeking a Bachelor’s Degree in Accounting. She plans on continuing her education by getting a Masters in Accounting and taking the CPA exam. This is her first year volunteering with Sowing Seeds with Faith. Afeera has expressed her excitement to work with this organization, because it lets her play a part creating a healthy environment for the kids in the Louisville community.